So here is a little uphill time trial to have a go at. From the Fire Base do a short warm up (you may want to add an extra loop) Then blast up 1.5km with 332m of altitude gain. I managed 15:28. I wonder if sub 15 min is doable. I did not remember that I had to stop my Garmin at the top. My brain felt a bit fuzzy so I have included some of the walk down but you get the idea. Check the link here. Next What does it take to win? I think we are taling of the same place for the start: When you run from Newlands along the lower contour (just above the houses) you cross a little stream before the path turns right and uphill. Up this to the dirt road, follow this through the dip and turn right at the single track. This goes up stairs to Contour Path (at big boulders) continue straight up to Aloes. You should be able to do two laps each under 15! I think that is the real challenge. Im game… The coach and I will give it a bash! So I had to take my boys for a little forest run and after a little stretch we set of up “Leo's Ladder” I reached the big rock in just under 10min and stopped on the rocks at the top in 13:59. Carl was 2nd up in about 16min. I wasn't waiting for the dark to come so i left before Jayde made it up. carl and i did wait a bit at the big rock for him, but decided that he would be ok on his own!!! We headed back to the club on the contor path. 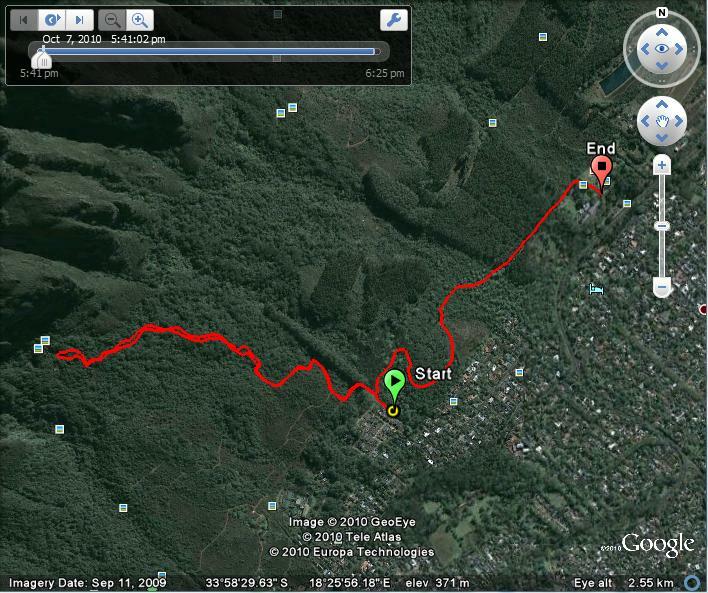 this made for a nice run… I think jayde might still be in the mountain!!! Jayde Buddy are you still out there? Legs are still a bit tired from Sundays massacre. Will give it a crack as soon as I freshen up. An easy 10 in the forest was more appropriate last night. Nice coach!